Signs of mental disorder are different in young children, teens, and adults. Learn those signs and helpful tips on what you can do and how to cope. Nearly one in every five adults suffer from mental illness. One in every twenty people have severe mental illness including bipolar disorder and schizophrenia. The illness can affect all areas of life including ability to interact with others, work, and perform simple daily tasks. Researchers are unsure what causes mental illness. It could be linked to family history, lifestyle, and traumatic events. It also depends on how your brain chemicals work to cope with stress. Mental illness is different for everyone and recognizing the symptoms of mental illness is the first step in getting help. People can recover from mental illness and sufferers can learn to cope and function within society. Proper treatment is key. If the signs are found early on and support provided, recovery is possible. Mental illness rarely comes on suddenly. Changes tend to be small and people close to someone who is suffering will notice that things aren’t quite right. It is important to notice subtle changes in order to get early intervention and help. Having just a few signs doesn’t mean mental illness is present, but if there are more than two signs it may be a strong indicator that there is a problem. If mental illness goes untreated, there can be significant problems with functions in life. 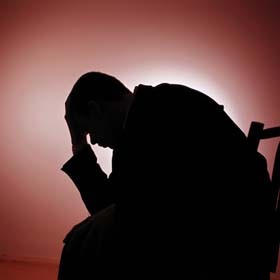 In most severe cases, suicidal thought can occur or thoughts of harming others. This should be taken care of immediately by calling 911 or a suicide prevention hotline. In children, it is important to get a full medical checkup first and if everything physical checks out okay ask for a referral for a mental health evaluation. Sometimes symptoms of health issues can manifest as emotional issues. One or two symptoms does not mean your school age child is suffering from mental illness, but more than two can signal an issue with mental health and needs evaluation. If you think you are seeing mental illness signs in a family member, keep track of any mood swings, emotional responses, and their behaviors. Mental illness can worsen over time if it is not properly evaluated and treated. Mental illness can have cycles from happy moods to down moods and symptoms may appear and disappear. There aren’t always outward signs and people tend to hide how they are really feeling deep down inside. Make a point to talk often about how they are feeling inside. If symptoms are apparent and you notice a pattern, make an appointment to have an evaluation by a therapist. Your physician can help with a referral and evaluate for medical issues. If you need immediate help, call a mental health hotline or get to your nearest emergency room. Many county mental health centers have an emergency line and can tell you what to do even if your loved one isn’t a patient. Take care of their physical health. Ensure that he/she is getting enough nutrition by eating the right meals, getting enough sleep and staying away from bad habits like drinking, smoking, and using drugs. Remember your own needs. Your loved one may need you, but you need to remember to take care of yourself first. While you may need to work in therapy appointments and being there for your loved one, try to keep your life stable and avoid too many changes. Many caregivers can experience depression themselves brought on by the stresses of caring for a mentally ill family member. Don’t forget the rest of the family. When a loved one is diagnosed with mental illness, you may turn all of your focus to that one person. Other family members need you too and may grow resentful. Include them and talk to them about what you are doing. Remember to take some time for everyone. Talk to your therapist about having a few family sessions to help them understand and develop healthy coping skills. Make a family date night. Have one night every week where everyone in the family gets together to spend time doing something fun. Sunday dinner and a board game will help keep everyone “grounded” and feel normal. Don’t single them out. Make sure you include your loved one with mental illness and treat them the same as everyone else. It is okay to be vigilant, but help them feel independent. Avoid labels or using their diagnosis in open conversations. While mental illness has a “stigma” and is okay to be acknowledged, it doesn’t have to be the focus.